The things they made. : Made | Buttermilk biscuits, now with gravy! 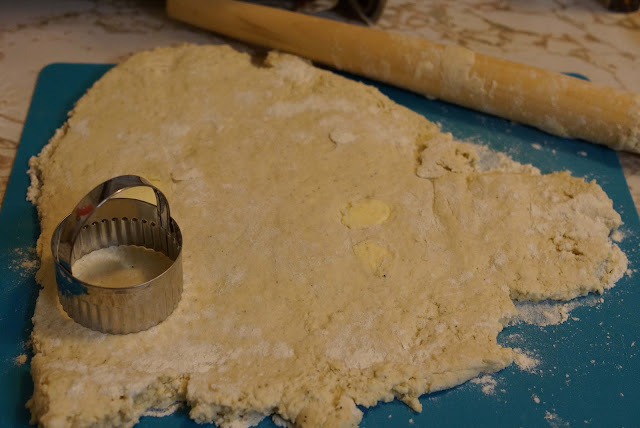 It's a fact that when I make something with buttermilk in it, I'm secretly finding an excuse to also make buttermilk biscuits. The last time I made buttermilk biscuits, they turned out alright. They were enjoyable, but I mean, slather apricot jam on anything and it'll turn out alright at the very least. 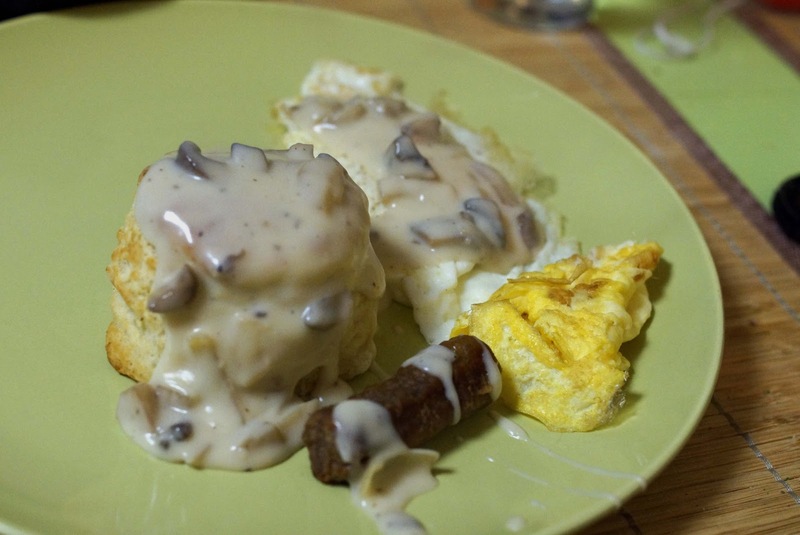 So when I saw Emma's recipe for biscuits and mushroom gravy on A Beautiful Mess the next week, I knew it was fate. I had recently made a dark chocolate raspberry cake that involved buttermilk, so I was all set for ingredients. We stocked up on baby bellas and I got to work. 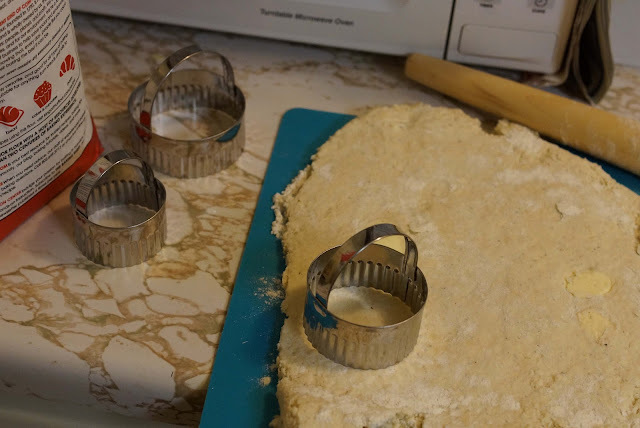 Mike got me these biscuit cutters for Christmas, which are really just glorified cookie cutters (i.e., cookie cutters with handles), but they really do make a difference. When you're cutting the biscuit dough, a sharp edge helps you get that stacked dough look that expands into a biscuit that looks like a leaning tower of deliciousness. Also, don't make my rookie mistake and roll your dough out too thin. 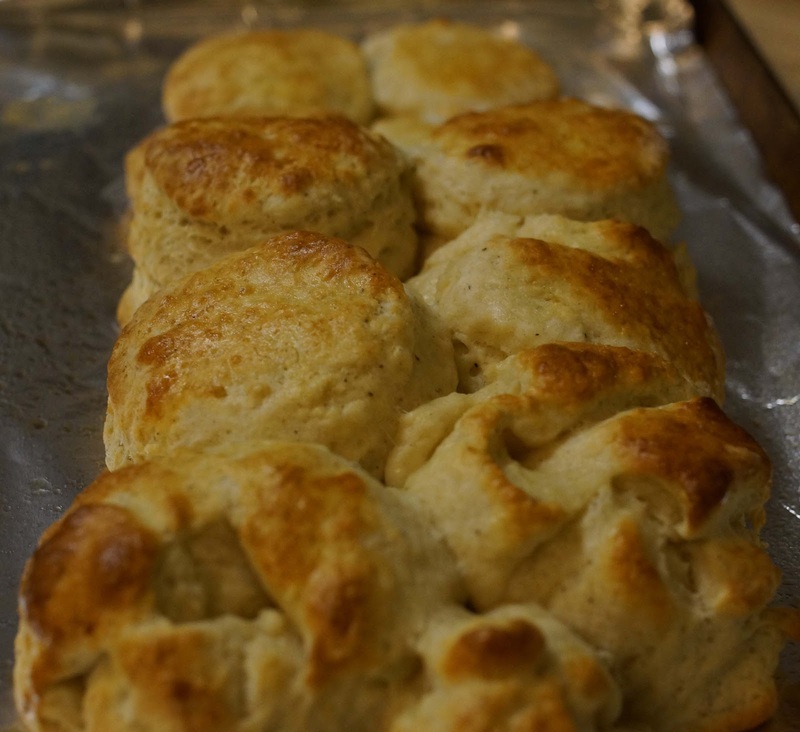 If you're cooking for just two like I was, leave that dough thick and get some hearty biscuits out of your hard work. I worked in the kitchen at Texas Roadhouse for the better part of my high school and early college years, so I know my way around a white gravy. Add mushrooms to the mix and you'll almost feel like you're doing your body a favor. You're not, but your tastebuds won't complain. Mike's not from the South, so when I announced that we were having biscuits and gravy for dinner, he wasn't as enthused as I was. "What are we going to eat with that?" he so ignorantly asked. "Ugh, fine, I'll make eggs, too." 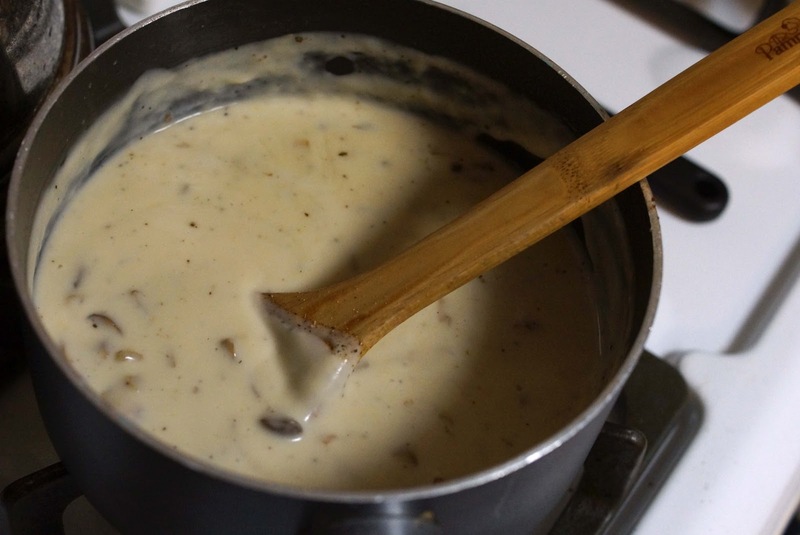 He quickly ate his words while he was eating these biscuits smothered in white gravy. After dinner, I was a little put off by the amount of white gravy we were left with. I contemplated dumping it, but Mike's lightbulb went off and the next night we made chicken and gravy ("like the Cracker Barrel Saturday special! "—and he calls me weird, everyone knows Cracker Barrel's Sunday special, chicken fried chicken, is the most memorable thing they serve). We made brown rice and sauteed chicken with the gravy and peas and mixed it all together. Throw some broccoli on top and you have no reason to waste your leftover gravy. Now you have no excuse not to try this recipe.